ARE YOU LOOKING TO FIND A CHIROPRACTOR IN REDDING, CA? Suffer from pain? Need to find relief from stress, injury, and lethargy? If so, there is only one proven solution for you – the expert chiropractic services from your trusted Redding Chiropractor, Shasta Spine Specialists! Shasta Spine Specialists has proudly served as the go-to chiropractor in Redding, California. Today, the clinic continues to offer the same sterling standard of customer service, chiropractic expertise, and commitment to health and wellness to all of its patients, no matter their age. Shasta Spine Specialists specializes in delivering precise health adjustments through a variety of treatment plans with one goal in mind: the rapid and lasting eradication of pain and stress from your environment. Shasta Spine Specialists offers a wide range of services including short term pain relief care to get rid of your neck pain, back pain, and headaches. Examination, X-Rays, report of findings, and treatment all in the same day. Our goal is to help you achieve your wellness needs, improve your quality of life, and facilitate healing through our services. We proudly serve the community of Redding by offering comprehensive chiropractic care and therapeutic or relaxation massage in a compassionate and friendly environment. The picture is coming together, of why a healthy nervous system is really your key to health and relaxation. At Shasta Spine Specialists we can give you the individual pieces to your health. We are skilled finding the key to your nervous system stress and relieving that tension by a skilled treatment. We also specialize in lower back pain, neck pain, shoulder pain, sciatica, pinched nerves, migraines and headaches, bulging disc, herniated discs, ruptured discs, allergies and many other pains. 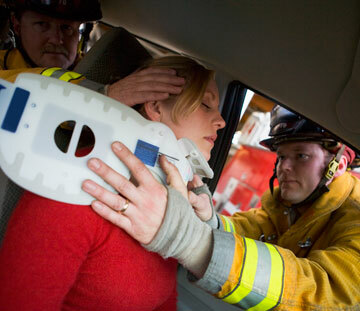 At Shasta Spine Specialists we also treat sport’s injuries and car accidents. Yes, Chiropractic care has a proven track record in providing care for infants all the way to the elderly. The reason being, throughout your life, your health is determined by how well your internal systems, organs, blood vessels etc. are functioning. Healthy nerves communicate to organs & blood vessels by electrical & chemical charges. Now you can see why the basic analogy of the light bulb and free flowing energy is appropriate. If electrical impulses are decreased the light dwindles and eventually goes out. When nerves are blocked some of the symptoms may be pain, tight muscles, fatigue and stressful tension. Chiropractic is a tried and proven treatment for subluxation which may create the above conditions. (Subluxation simply means when a bone is out of alignment) The definition is the simple part. Treating it for long-lasting relief is what a skilled chiropractor does. Each person is an individual with unique needs. To a skilled chiropractor your body is a visual & kinesthetic scrapbook offering a roadmap to the trained eye. Our individual care lets us plan the most effective treatment to relieve discomfort and let you walk away feeling stronger and more relaxed. We do this by a comprehensive consultation & examination. At Shasta Spine Specialists we value your health as much as you do! Our patient testimonials give you the confidence to let us treat you and give you the results, thousands of other patients have received. We are here to serve your needs. When your muscles and/or ligaments are at different lengths due to tension or stiffness, this is what happens with daily movement or your usual activity! Notice they each still move but are not moving together like normal or in unison! This is what causes injuries or leads to degeneration of one or more joints! This can be helped with Chiropractic care, physical therapy, stretching and exercises, etc. As you can imagine not just anyone can help for very long because there is a lot wrong! The best fix is offered at Shasta Spine Specialists using an all-inclusive Chiropractic Care program! Our motto at Shasta Spine Specialists is to bring you to a higher level of performance on a daily basis and eliminate, or at least reduce pain and dysfunction, by combining chiropractic care, physiotherapy, and other forms of non-surgical and drugless treatment options so you can return to doing the things you love to do! We are a society of hurt people by being too busy; too busy to notice their needs. Too busy to drop that note of comfort or encouragement or assurance of love. Too busy to listen when someone needs to talk. Too busy to care. So sad! At SSS, we give you our all!